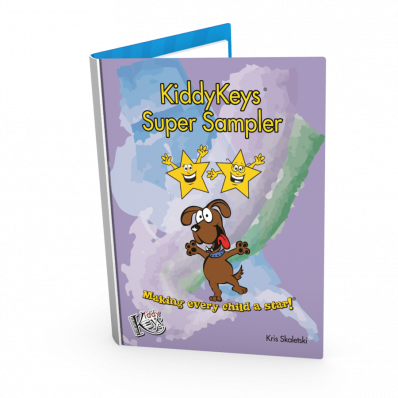 Ready to roll out KiddyKeys? 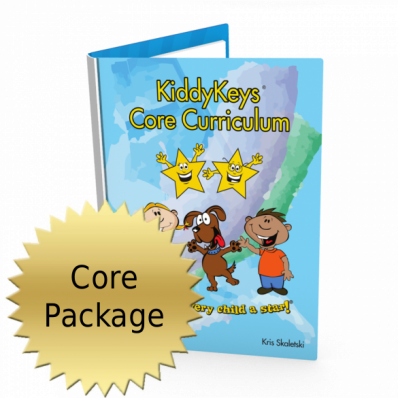 This package offers the curriculum and teaching materials needed to get you up and going as a KiddyKeys teacher. Includes KiddyKeys Curriculum Level One. 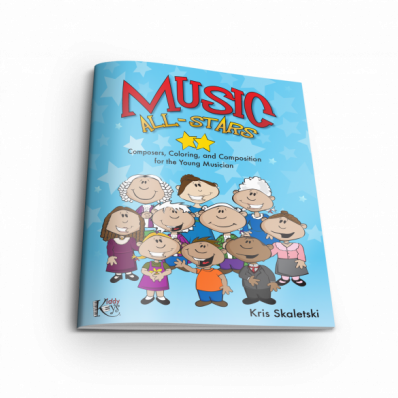 Concepts include high and low sounds, forte and piano, finger numbers, hand position, note names and position on the keyboard, tempos, note values, the staff and clefs (plus the locations of the notes treble G, bass F, and middle C on the staff), ear training, and review. We’re joined by Music the Dog, Buzzy the Bee, Fred the Bunny, and even Ted the Snowman as we whiz through all the seasons of the year! Lessons can be a fast-paced and full 30 minutes or a more easy-going 45 minutes. 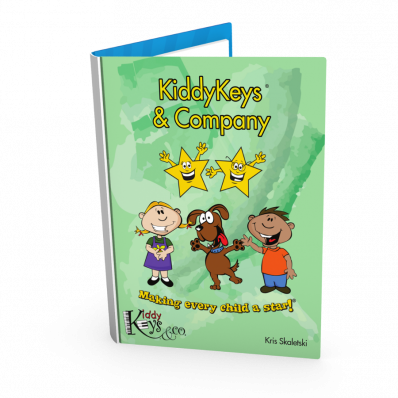 Recommended for ages 2.5–5. Includes: Core Curriculum Lesson Plans and Worksheets, 30 Original Storybooks, the KiddyKeys Cards (Set of 5), Train Game, the Complete Package of P-I-A-N-O Bingo (All 5 levels), and more! See "Product Description" below for a detailed list of included materials. Looking to ramp up your student’s learning trajectory with more challenging concepts? These 30 lesson plans, accompanying worksheets and audio tracks will make your lesson preparation a breeze while building a solid foundation for your youngest students. Lessons can be a fast-paced and full 30 minutes or a more easy-going 45 minutes. 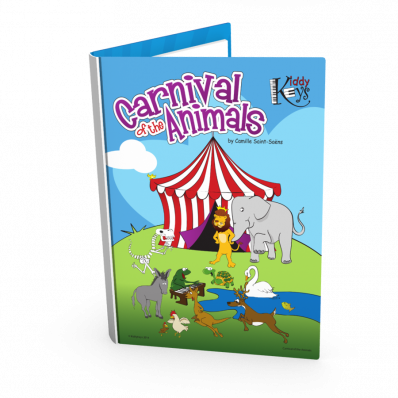 Recommended for ages 2.5–5. 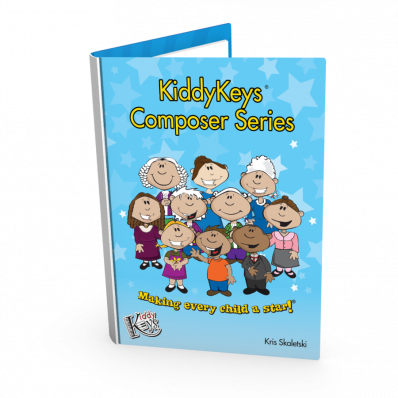 Concepts include mezzo forte and mezzo piano, the grand staff, ear training, notes C, D, E, F, and G, rests, composing, and conducting, plus additional seasonal and celebration lessons including Happy Birthday, Pajama Party, Turkey Day Fun, Reindeer Roundup, and Happy New Year. See "Product Description" for a detailed list of included materials. Composer biography classroom aid cards Receive special package pricing (below) when you purchase both the Composer Storybook Combo Pack (9 books) plus the Composer Series Lesson Plans and Worksheets.